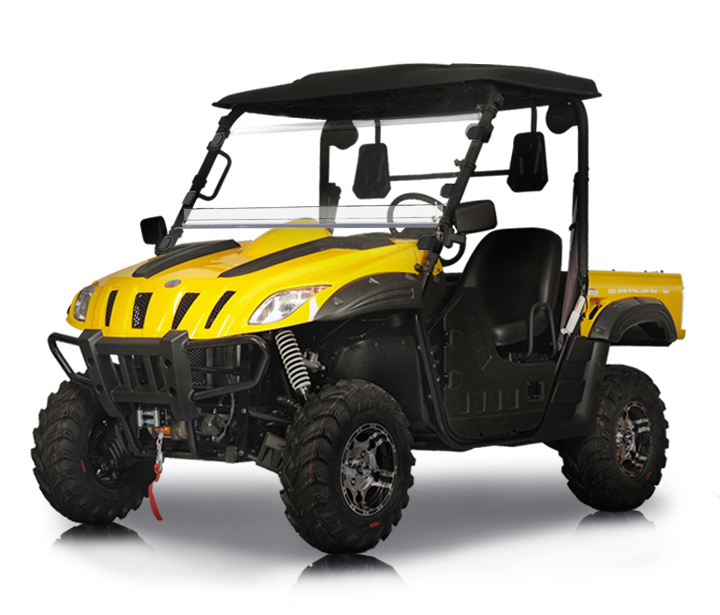 The BMS® Ranch Pony 600 EFI, Features 37HP 55 ft-lb of torque 594cc Engine EFI. Fully Automatic CVT Transmission with High and Low gears (H-L-N-R), On Demand 2WD / 4WD. 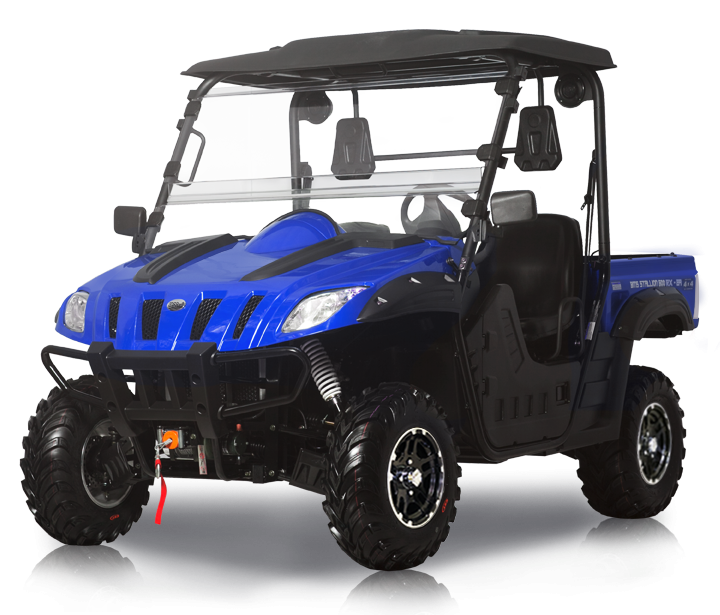 The BMS Ranch Pony 600 EFI Features a Powerful 37HP 594cc Engine with Electronic Fuel Injection (EFI), Combined Water and Oil Cooling System for better efficiency, also offers on demand 2WD and 4WD modes with lock differential, Fully Automatic CVT transmission (L-H-N-R) with high and low gears. AM/FM Radio with CD player also plays MP3s and features auxiliary mini jack input for iPods and MP3 players or phones plus an SD card reader and USB auxiliary port. Best standard package perfect for outdoor camping or daily work around your farm or ranch. Our radiator is 30% larger than most competitors keeping your engine well within operating temperatures. No need to buy a after market oil cooler either! The BMS® Ranch Pony 600 EFI Features an aggressive, compact look and is designed to be the most capable off-road recreation side-by-side. Providing the performance to traverse rough terrain with confidence and comfort. The cabin area measures a whopping 4 feet 8 inches from side to side and from floor to ceiling giving this unit one of the largest cabin areas in its class. 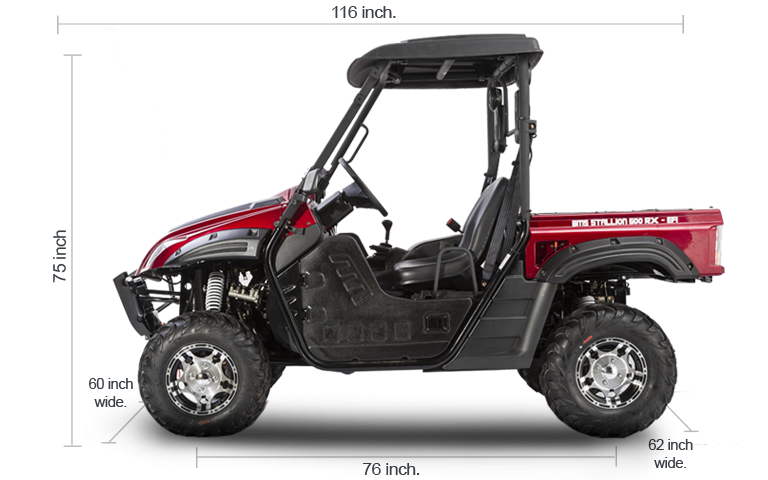 The BMS® Ranch Pony 600 EFI offers a balance of work-ready functionality, refined comfort and trail-proven capability that makes it the ultimate outdoor adventure partner.